His collegiate career yielded much individual and team success, while also paving the way for an NHL career. But, for Alec Martinez, it wasn’t only what he learned on the ice that got him to where he is. There was plenty of recognition for what he accomplished as a member of the Miami University (Ohio) hockey team over three seasons, from 2005-08, including All-CCHA First Team honours in 2007-08. It was Martinez’s goal that bested hockey power Michigan in October of 2006, a win that snapped the RedHawks 20-game losing streak to the Wolverines in Ann Arbor. There were rookie of the week accolades, selection to the CCHA All-Tournament Team in 2008, and one year earlier, Martinez was taken by the Los Angeles Kings in the fourth round (95th overall) of the NHL Entry Draft. 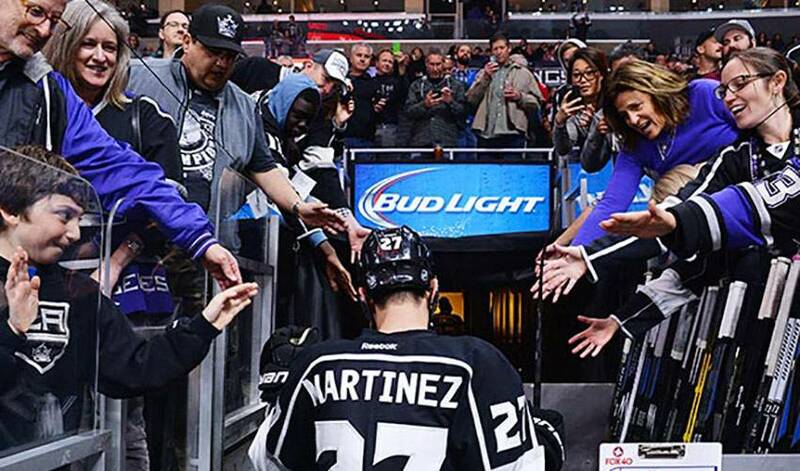 After 147 games, spread over three seasons with the Kings American Hockey League affiliate in Manchester, Martinez, who skated in four games with Los Angeles in 2009-10, was recalled by the NHL club on November 23, 2010. It’s where he’s been ever since. It’s been a winning formula, literally, for Martinez and the Kings. In the 2014 Stanley Cup Playoffs, he played overtime hero in Game 7 of the Western Conference final, netting the series-winning tally and putting Los Angeles in the final against the New York Rangers. Martinez managed to outdo himself in Game 5. His goal, in double overtime, won the Cup for the Kings, the team and Martinez’s second (the other coming in 2012) championship. Special, yes. But, also humble.